Blimey. An entire year of gaming-related ramblings and ravings, the odd review, and those three rants… It’s been such a fun year, we’ve decided to carry on a while longer and see what happens. If you’ve ever read our words, cheers. If this is your first visit, well, sorry it had to be one of these annoying self-indulgent birthday messages. Just come back again tomorrow. Anyway, I think that’ll do. So again, thanks for reading our little nerdy blog. Hopefully we’ll see you next year. 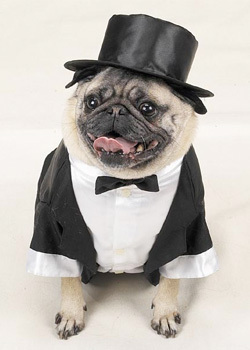 Here’s a Celebratory Victory Pug. This entry was posted in Thoughts and tagged BcR is 1 today!, birthday. Bookmark the permalink.